“I believe in Jesus Christ who has given his own life for us,” the doomed man said, staring straight into the video camera. “And I am ready to die for a cause.” Shahbaz Bhatti had no hesitation in his voice as he responded to a question about threats from the Taliban and al-Qaeda. “I’m living for my community … and I will die to defend their rights.” It was his last answer in a four-month-old self-produced video that was to be broadcast in the event of his death. But the radicals had the final say. On March 2, Bhatti, Pakistan’s Minister for Minority Affairs, was shot dead in Islamabad. Pamphlets scattered on the ground claimed the act for a new alliance of “the organization of al-Qaeda and the Punjabi Taliban” and asserted that other infidels and apostates would meet the same fate. Bhatti’s death had been foretold not just by himself but also in the nation’s response to a previous assassination, that of Punjab governor Salmaan Taseer on Jan. 4. Taseer, a self-made millionaire, had turned his largely ceremonial post into a platform for a campaign to amend Pakistan’s blasphemy laws. Bhatti, the only Christian in the Cabinet, refused to be a token and swore to battle intolerance. 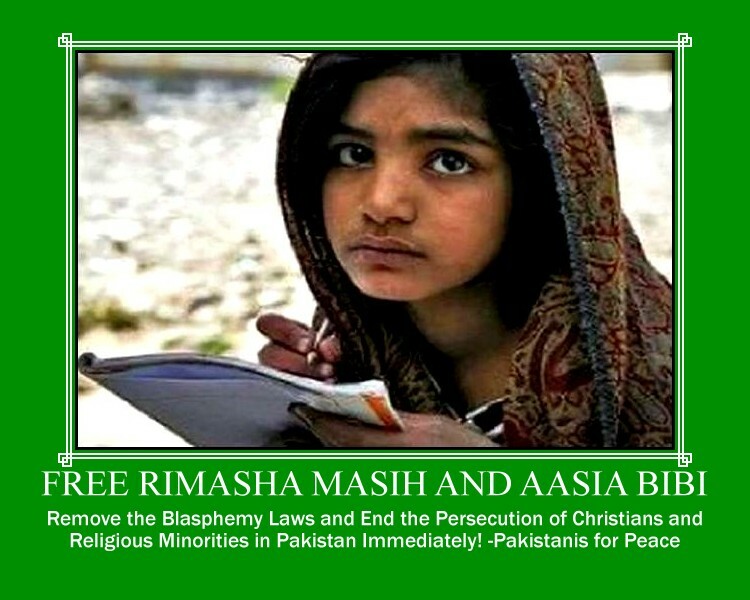 Both men supported clemency for Aasia Noreen, a Christian woman who had been accused of blasphemy and sentenced to death. Taseer’s stance on the issue infuriated a large part of the population that, thanks to religious leaders and school curriculums, believes that blasphemy is a sin deserving of execution. In the weeks leading up to his assassination, Taseer had been denounced at Friday prayers, excoriated in the media and largely abandoned by his Pakistan People’s Party (PPP) for fears that his campaign would prove politically toxic. The witch hunt culminated in a bodyguard’s pumping 27 rounds into his head and chest in the parking lot of a popular Islamabad shopping center. Within hours of Taseer’s death, telephone text messages celebrating his assassination made the rounds. “Justice has been done,” read one. “If you love the Prophet, pass this on.” A Facebook fan page for assassin Malik Mumtaz Hussain Qadri garnered more than 2,000 members before site administrators shut it down. Even the leaders of state-funded mosques refused to say funeral prayers for the slain governor. When Qadri was transferred to a local jail, he was garlanded with roses by hundreds of lawyers — the vanguard of a movement that in 2008 helped unseat a military dictator — offering to take on his case for free. At his court appearance a few days later, Qadri told the judge that he believed in a Pakistan where loyalty to the Prophet eclipses all other rights. According to Taseer’s daughter Shehrbano, her father “wanted an egalitarian society where open debate is protected and people are not killed for speaking out.” And Bhatti dreamed of a nation true to founder Muhammad Ali Jinnah’s vision, one where “you are free to go to your temples, you are free to go to your mosques or to any other place of worship.” Which vision prevails — Qadri’s or Taseer and Bhatti’s — will decide the future of the country. Using religion to shore up political support is nothing new in Pakistan. Founded as a Muslim nation carved from a newly independent India in 1947, Pakistan has long struggled to unite a diverse population divided by language, culture and ethnicity. Islam was the common denominator, but Jinnah was famously enigmatic about its role in government. 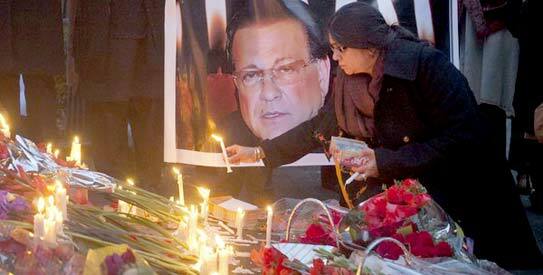 President Asif Ali Zardari, an old friend of Taseer’s, condemned the murders but didn’t go to either funeral. After paying his respects to Taseer’s family, Interior Minister Rehman Malik gave an impromptu press conference outside Taseer’s house during which he announced that he too would kill any blasphemer “with his own hands.” A few days later, the Prime Minister announced that he would drop the issue of the blasphemy laws altogether. Meanwhile, the government is under pressure to go through with Aasia’s sentence, and now her two champions are dead. Reaction to Bhatti’s murder has been muted, characterized mostly by denial. What little newspaper coverage there was focused on security lapses or the role of the country’s Christian community rather than on the motives of the killer. On television talk shows, members of the religious parties and right-wing commentators spun a conspiracy theory that alleged that Bhatti’s murder had been “a plot” hatched by “outside forces” to “divert attention from the Raymond Davis affair.” There was no mention of the fact that Bhatti was campaigning alongside Taseer on the issue of blasphemy. Of course, few Pakistanis would ever go as far as Taseer’s or Bhatti’s killers. But their ambivalence can easily be manipulated. “Just because we are religious does not mean we will all be reaching for guns the next time someone says something wrong,” says Malik Khan, a university student who spent a recent afternoon at a shrine in Lahore dedicated to a revered Islamic saint. “But Salmaan Taseer was an extremist as well. He should not have touched the blasphemy law.” Khan received a text message praising Qadri and exhorting him to pass it along. It posed a moral quandary: “I don’t agree with the message,” he says. “But I love the Prophet. My thumb hesitated a long time over the delete button.” In the end, he passed the hate along. But is it? Two weeks after Taseer’s murder, I visited Qari Muhammad Zawar Bahadur, the head of one of Pakistan’s mainstream religious groups and a co-signer of a statement that advised Muslims not to show “grief or sympathy on the death of the governor, as those who support blasphemy of the Prophet are themselves indulging in blasphemy.” For more than an hour, he justified his group’s stance, telling me that the Koran was clear on the issue. I asked Bahadur to show me the exact verse that detailed the punishments for blasphemy. He mumbled that “there are several passages,” as if there were so many, he couldn’t decide which one to quote. When pressed further, he consulted a Koran and read aloud a passage that spoke of killing a man who had once harmed the Prophet. 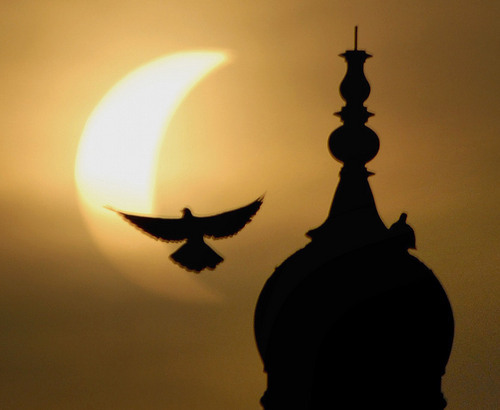 In the absence of such challenges, those favoring religious intolerance will continue to have things go their way. In late 2007, Benazir Bhutto released an updated manifesto for her father’s party. “The statutes that discriminate against religious minorities and are sources of communal disharmony will be reviewed,” it said. Less than a month later she was dead, killed in a bomb attack just 13 km from where both Taseer and Bhatti were murdered. Her death was an opportunity to rally the nation against the forces of extremism. Instead the party focused on consolidating power. The manifesto remains an empty promise, and two more voices of tolerance have been silenced. For evil to prevail, goes the old aphorism, all that is required is for good men to do nothing. It’s time to bury the myth of moderate Pakistan. You know the one: the notion, repeated ad nauseam in magazine articles, think-tank reports and congressional testimony—as though saying it often enough will make it true—that Pakistan is an essentially tolerant country threatened by a rising tide of fundamentalism. Here’s a news flash: The tide has risen. The most recent reminder of this came last Wednesday in Islamabad, when suspected Taliban militants shot dead Shahbaz Bhatti, Pakistan’s 42-year-old minister for minority affairs and the only Christian in the overwhelmingly Muslim nation’s cabinet. His crime? Supporting the repeal of a barbaric blasphemy law that makes insulting the prophet Muhammad punishable by death. 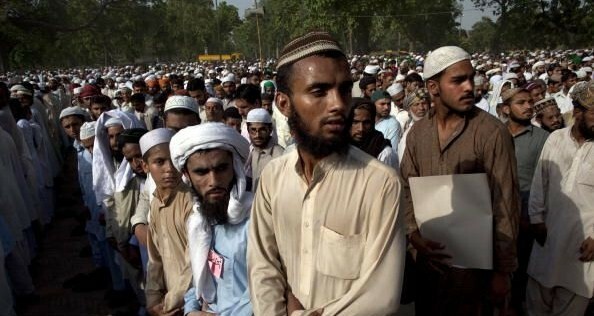 The law is often used to settle scores with hapless religious minorities, especially Christians such as Asia Bibi, an illiterate peasant sentenced to hang last year after she allegedly badmouthed the prophet during a row with Muslim coworkers. Bhatti’s assassination comes two months after a bodyguard murdered Punjab Gov. Salmaan Taseer for visiting Ms. Bibi in jail and speaking out against abuse of the law. To be fair, Pakistan’s claim to relative moderation has been kept alive thus far by more than just wishful thinking. Overtly Islamist parties such as the Jamaat-e-Islami have rarely commanded more than a fraction of the national vote. Women enjoy freedoms in the public square that their counterparts in Saudi Arabia and Iran could only dream of. At great personal risk, a small but courageous group of activists, intellectuals and politicians speak out publicly against bigotry and religious intolerance. Scratch the surface, however, and a bleaker picture emerges. Islamist parties may not garner large-scale electoral support, but Islamist ideas are widely tolerated by mainstream political parties. The major opposition party, former Prime Minister Nawaz Sharif’s Pakistan Muslim League, flaunts its closeness to sundry Islamists, including Jamaat-ud-Dawa, the parent organization of the international terrorist group Lashkar-e-Taiba. Ostensibly secular, the ruling Pakistan Peoples Party supported both Kashmiri militancy and the Afghan Taliban in the past. In its current incarnation it appears permanently cowed by the country’s legion of vocal fundamentalists. President Asif Ali Zardari failed to attend the funerals of either Taseer or Bhatti. His government has made it clear that it will not touch the controversial blasphemy law. 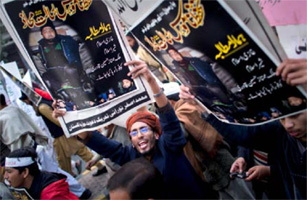 Interior Minister Rehman Malik declared that he would personally kill anyone who dared blaspheme Muhammad’s name. As for Pakistan’s undeniably brave activists and intellectuals, unfortunately they appear to have more admirers overseas than among their compatriots. Hand-wringing in the pages of Dawn and the Friday Times, two of the country’s leading English-language newspapers, has not prevented Mumtaz Qadri, Taseer’s murderer, from becoming a national hero. Not surprisingly, anti-American sentiment—often a reliable shorthand for a society’s paranoia and self-loathing—is rampant. According to the Pew Global Attitudes Project, American favorability ratings stood at 17% last year, the lowest of all countries surveyed. On the streets, bloodcurdling yells for the execution of alleged Central Intelligence Agency operative Raymond Davis, accused of killing two Pakistanis in January, have prevented the government from granting Mr. Davis the diplomatic immunity that the U.S. claims he is entitled to. This despite personal pleas by President Barack Obama and Sen. John Kerry. By now the reasons for Pakistan’s predicament are well known. They include the intolerance embedded in the nation’s founding idea of a separate “land of the pure” for Indian Muslims, the malign shadow of Saudi Arabia on religious life, blowback from the anti-Soviet jihad of the 1980s, and the overwhelming influence that the army and its thuggish intelligence wing, the Inter-Services Intelligence, wield on national life. The army’s very motto, Jihad-fi-Sabilillah, or jihad in the path of Allah, is an exhortation to holy war. For the international community, the long road to fixing Pakistan begins with the simple recognition that the country’s true face is not the urbane intellectual making reasoned arguments, but the frenzied mob showering rose petals on a murderer for his services to the faith. Over time, Pakistan can only be saved by re- arranging the basic building blocks of the country. This means backing provincial autonomy and linguistic identity as an alternative to the centralized pan-Islamism used by the military and its supporters to weld the country together. It means deploying social networks and satellite television to open the door to reasonable discourse about religion. It means channeling aid to ensure that children are no longer taught to glorify Islamic conquest and reflexively mistrust the West and India. It means accepting that the most poisonous madrassas—such as Jamia Binoria in Karachi and Darul Uloom Haqqania outside Peshawar—must be shuttered if they can’t be reformed. Needless to say, none of this will be easy. But the consequences of the alternative—pandering to fundamentalists while blaming outsiders for all the country’s ills—can be seen in the freshly turned soil of Bhatti’s grave. -Sadanand Dhume is a resident fellow at the American Enterprise Institute and a columnist for WSJ.com. What motives led to Shahbaz Bhatti’s murder in Pakistan? It is hard to find an immediate motive behind the murder of Pakistan’s Minorities Affairs Minister Shahbaz Bhatti. The courageous battle he had vowed to fight against the country’s draconian blasphemy laws had already been abandoned by the government in the wake of Punjab governor Salman Taseer’s murder. In fact, the final surrender had come from no less a person than Pakistan’s prime minister who had only last month pleaded with a large gathering of religious personalities to believe him when he said that his government had no intention of reviewing the blasphemy laws. And unlike the slain governor – a veteran politician, a high profile socialite and one of the president’s many billionaire friends – Mr Bhatti neither had the status nor the political clout to influence the state’s agenda. Some evidence of that also comes from the eerie silence on social media, from the extremists’ side. All that one sees are some anguished rants from some of Pakistan’s best known liberals, many of whom are not even resident in the country. Even hours after the assassination, we have seen none of the fierce onslaught against free speech that erupted on social media within minutes after Mr Taseer’s murder. Nor have we seen eulogies of his killers mushrooming on Facebook as they did after Mr Taseer’s murder. It is a silence smug in the knowledge that their agenda is not at risk. So why kill a man who considered himself – and was indeed considered by the world around him – to be so ineffective that he had not even bothered to seek proper security for himself, despite being constantly threatened by Pakistan’s millions of faceless fanatics? The government had unambiguously decided to lay off the blasphemy laws after Mr Taseer’s murder, its ministers hinting privately that it was a hornets’ nest best left untouched. The country’s liberal political and social leadership had meekly followed suit and perhaps understandably so. For the extremists though, it is all about ideology. It didn’t matter if Mr Bhatti’s battle had proved to be a non-starter or if he was an ineffective and powerless minister. And the ideology that led to his assassination has now sent another determined and deadly message to the state – that it will continue to fight till the last liberal falls. In Pakistan, Salman Taseer’s assassination in early January has blown the lid off the seething cauldron that has been bubbling in Pakistan for the last several years: the divide between Pakistan’s extremist forces and its minority liberal community is now so wide that it seems nothing can bridge the gap anymore. Worse, the extremists greatly outnumber the liberals, endangering whatever advances have been made in the Pakistani society. It all started with a woman: Aasia Bibi, the hapless Pakistani-Christian mother of five who made the mistake of getting on the wrong side of a group of malicious village women. One moment Aasia Bibi was offering her coworkers a cup of water; the next, she was facing the death penalty for having supposedly committed “blasphemy”. Activists and women’s rights groups, aghast at the blatant abuse of human rights that Aasia Bibi’s case represented, agitated for the country’s leaders to have her acquitted. Pakistan’s progressives, especially women, got in touch with the Governor of Punjab Salman Taseer through his Twitter account – one which he used mostly to tweak rival politicians’ noses, share his favorite Urdu poetry, and communicate with his daughters. They besieged him with 140-character-long appeals to save Aasia Bibi’s life, hoping against hope that he would listen. Taseer not only took Aasia Bibi under his protection, but he widened his scope to take aim at the blasphemy law itself. But Taseer’s strong voice was silenced on January 4, when his own bodyguard, Mumtaz Qadri, shot him 27 times with his state-issued Kalashnikov. After the initial shock of the assassination, women activists vowed to use it as a rallying point: not just because they feel for Aasia Bibi, the first woman in Pakistan to face the death penalty for blasphemy, but because they know that women are the first to lose their freedoms when extremism takes over a nation. They are organising candlelight vigils, rallies, and media campaigns to defend their hard-won rights, despite knowing they are outnumbered by the other side. Taseer, a graduate of Smith College in the US, draws inspiration from other brave women in Pakistan who came up against the same forces: Asma Jehangir, Benazir Bhutto, Jugnu Mohsin, Sherry Rehman (who is now living under virtual house arrest in Karachi because of death threats she has received for her stance against the blasphemy law), Sharmeen Obaid Chinoy, Beena Sarwar, and Marvi Sirmed are some of the women whose struggles against injustice in Pakistani society have inspired her. So, back to the original question: is it really the women in Pakistan who have the guts? When it comes to fighting for their rights, definitely. Life in Pakistan is hard for women, but they don’t give up easily. Perhaps this is why they haven’t yet suffered the fates of their compatriots in Saudi Arabia, Afghanistan, and other supremely conservative Muslim countries in the region.